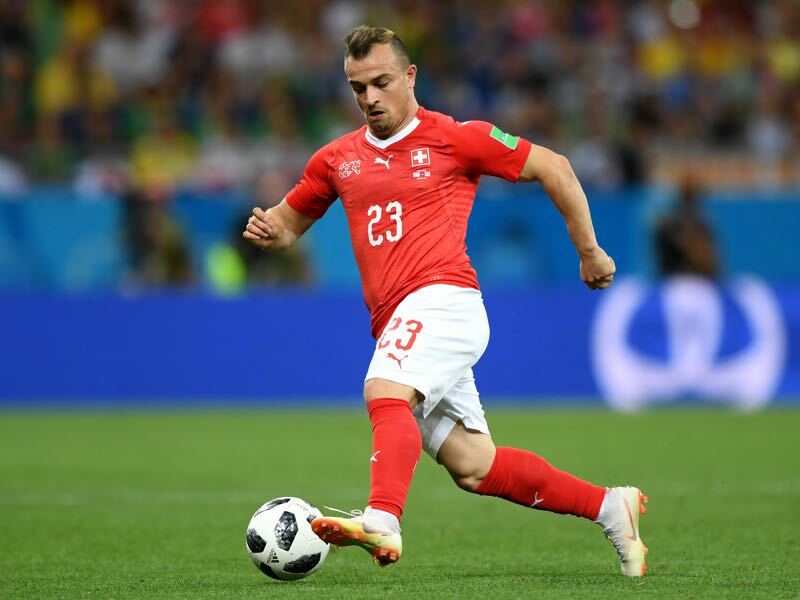 “Of course we want to finish first,” Switzerland’s Xherdan Shaqiri told the press after Switzerland’s emotional victory against Serbia. Shaqiri was excellent in that match, but both he and his teammate Granit Xhaka were also involved in a political controversy after they celebrated their respective goals with the “eagle salute” – a patriotic gesture in the Kosovo and Albania that symbolises the Kosovan-eagle. As a result, both Shaqiri and Xhaka were fined. But it could have become much worse with both players potentially facing suspension by FIFA. Ultimately, the world governing body decided against suspending both players, which will give Switzerland a significant edge in the last match against Costa Rica. The controversial celebrations aside Switzerland were excellent against Serbia and could now finish first in the group ahead of Brazil. “We didn’t lose against a strong Brazil and collected three points against Serbia. It is, therefore, only natural that we have an eye on first place”, Shaqiri added. Finishing first would not necessarily be beneficial, however. With Germany potentially finishing second in their group – the results of Group F will be known before Group E kicks off their final matchday – Switzerland might be better off finishing second in Group E. A draw would be enough to see the Nati advance and then potentially avoid a meeting with their big neighbour to the north. Calculations that will unlikely affect the players though come matchday. Furthermore, Switzerland would be well adviced to take Costa Rica serious, despite the fact, that the Concacaf team is already eliminated. “We simply didn’t manage to play we did in 2014,” Oscar Ramirez explained to the press after the last minute 2-0 defeat to Brazil. Costa Rica managed to create just five chances in the two matches against Brazil and Serbia and want to end the tournament on a high note by scoring at least one goal before heading back home. It will, therefore, be an interesting match. With Switzerland knowing the results from Group F will they play this tactically and try to avoid a potential meeting with Germany? 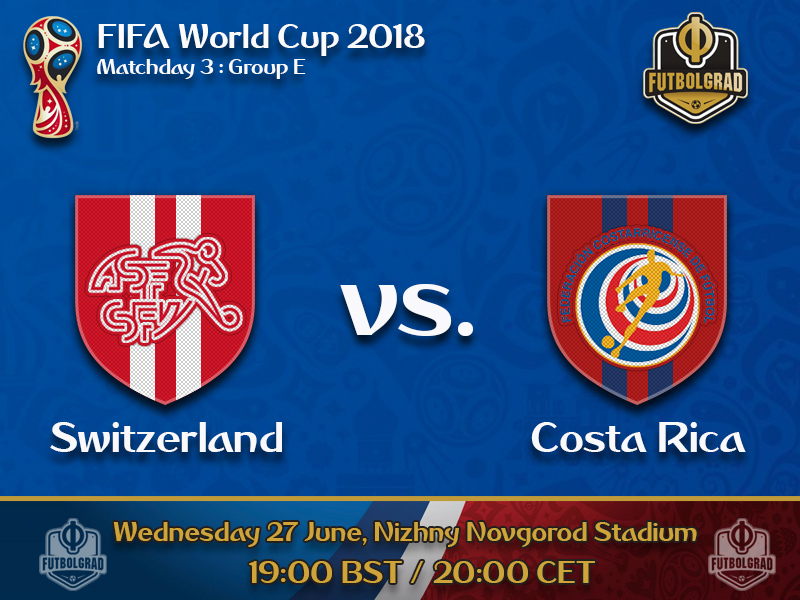 Playing for a draw is tough and to be sure Switzerland must go for all three points, which given Costa Rica’s problems in front of goal should be easy enough to achieve. The controversial goal celebration aside Xherdan Shaqiri was once again excellent for Switzerland. The powerful attacking-winger has become a life insurance of sorts for Switzerland scoring the decisive goals for the Nati. Back in 2014, Shaqiri scored all three goals against Honduras to secure Switzerland a spot in the next round. At the Euros in 2016, Shaqiri scored the tying goal against Poland in the round of 16 with just moments to go in the match. It is, therefore, no surprise that many top clubs around the world have targeted Shaqiri for a potential transfer – especially as he will want to move clubs after being relegated from the Premier League with Stoke City. 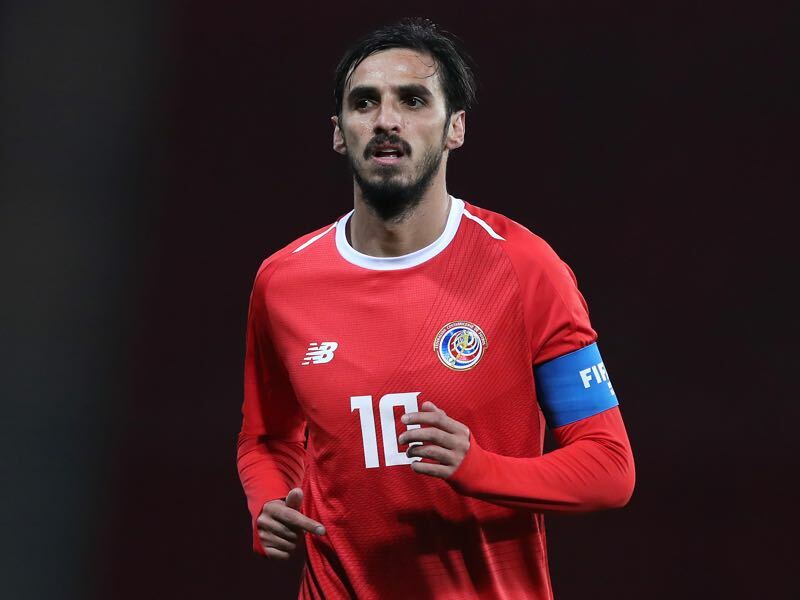 Bryan Ruiz could be playing his last game for Costa Rica at a major tournament. The Sporting Lisbon forward has been capped 110 times and is one of the most important players in the Los Ticos side. At the same time, Ruíz struggled to make a mark at this World Cup. Perhaps this is due to the difficult situation at his club team Sporting. 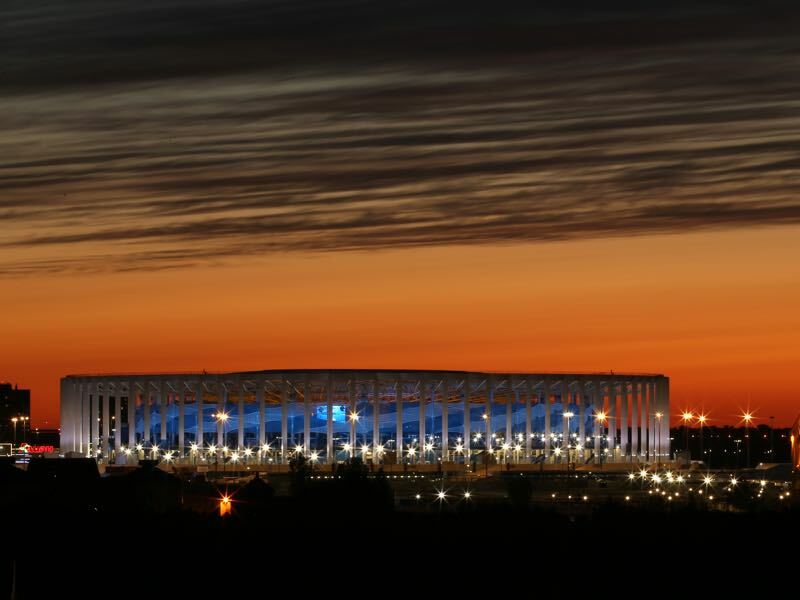 Either way for Ruíz the game against Switzerland could be the last at the world’s biggest stage. Switzerland and Costa Rica are meeting one another for the third time at a major tournament. Both teams have beaten each other once previously. Costa Rica have not won any of their last four matches against European teams (D3 L1) and only managed one goal in those matches. Costa Rica have not won in five World Cup matches (D3 L2) and did not manage to score four of those five matches. Costa Rica hasn’t won a single World Cup 2018 fixture yet. They have a chance to bow out with grace after beating Switzerland. But the Swiss wouldn’t want to give the Serbians any favors because if in case they lose, even a draw can allow Serbia to progress through Fifa shouldn’t placed 2 matches at the same time 🙁 I can only see 1 match on my tv so i bought purevpn to watch other matches too from different locations.